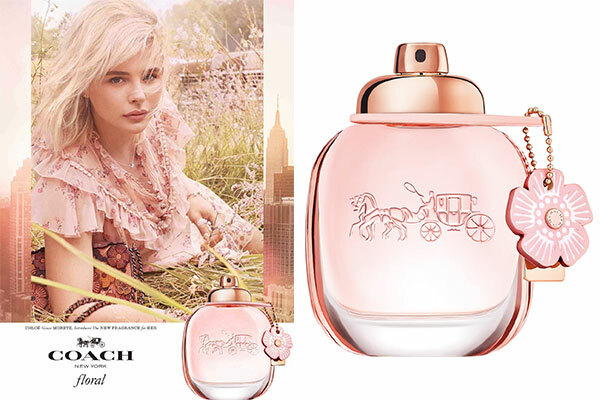 Coach Floral by Coach - This leather tea rose perfume is a new woody floral version of the original Coach Eau de Parfum for women. The new fragrance includes notes of citrus, pink peppercorn, pineapple sorbet, rose tea, jasmine, gardenia, creamy wood, patchouli, and musk. 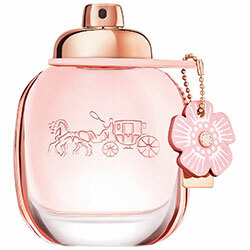 The original Coach perfume bottle features a pink hue and tea rose flower charm. 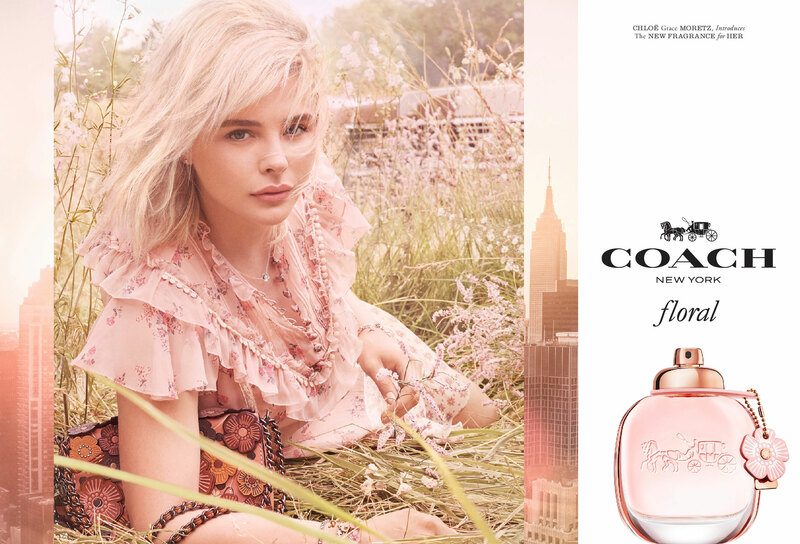 Launched in January 2018 this new scent "is inspired by Coach's signature leather tea roses" and available in an eau de parfum spray and matching body lotion at Macy's, Dillard's, and ULTA. The ad campaign features actress Chloe Grace Moretz photographed by Steven Meisel. 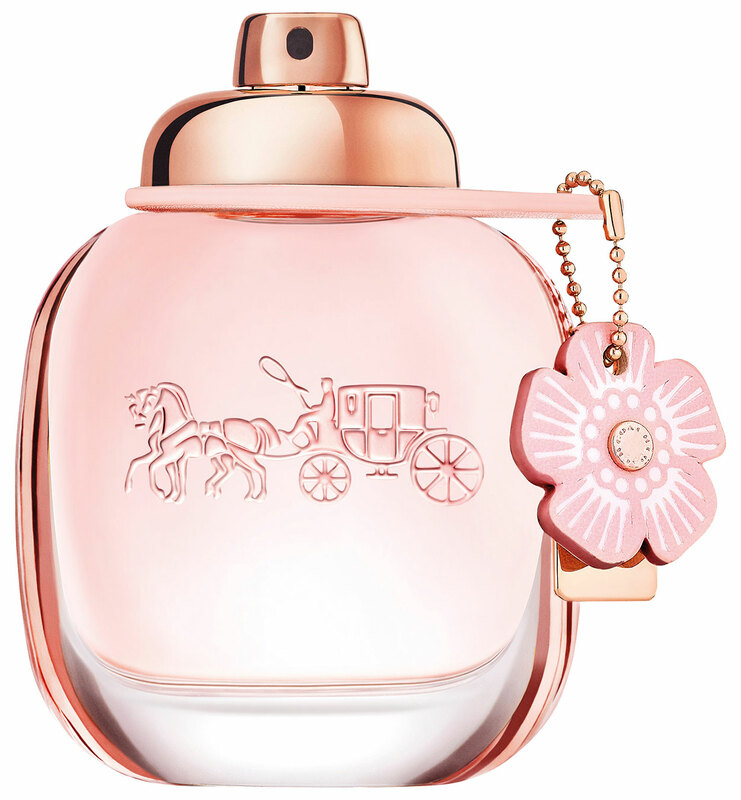 Package Design Original Coach perfume bottle with a tea rose charm, pink hue and rose gold accents. "Introducing Floral, a feminine new scent inspired by our signature Tea Roses. The fragrance opens with a splash of citrus coeur and a touch of effervescent pink peppercorn with radiant pineapple sorbet. The heart reveals a bouquet of fragrant flowers - rose tea, jasmine sambac and gardenia - before an enveloping dry-down to elegant creamy wood, patchouli and musky notes.